Last week we debuted a new animated web series for science educators, Good Thinking! As I described in my launch-day post, the series is a character-driven exploration of research-based practices in science education. 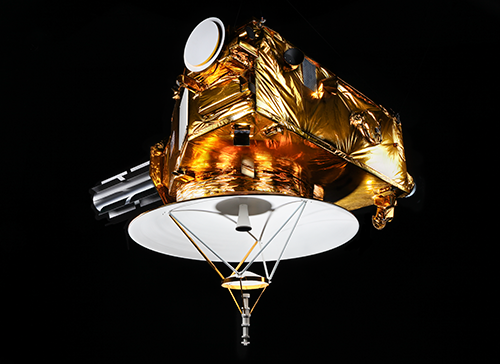 Reaching New Horizons: We're Going to Pluto! Poor Pluto is finally getting a visit! To the disappointment of stargazers everywhere, the icy space rock, only 1/6 the size of Earth, was downgraded to a "dwarf planet" in 2006 as we learned more about our solar system. While we may not quite be over Pluto's "ex-planet" status, we have at least one thing to celebrate: Almost 90 years after its discovery, we're finally visiting Pluto! English language learners (ELLs) are a population of students that is growing in the United States. Educators face the challenge of helping students learn English at the same time as grade-level science content. This can be especially challenging when working with newcomers. Newcomers, by definition, have been in the United States for two years or less and have little to no English proficiency. In addition, some newcomers are refugees who have had interrupted schooling and spent time in refugee camps. How do you successfully teach science content to these students? Findings from science education research rarely make their way into classroom practice. As I've discussed before on the PLOS Sci-Ed blog, there are a lot of entrenched barriers that continue to separate these efforts. For one, most science education research is still primarily published in journal articles that are often difficult to access -- and always dense, lengthy reads.